Main bedrooms are evolving from the standard three-by-four-metre space into master suites with premium finishes, additional living spaces and luxurious amenities. The enormous master suites on The Block reveal how main bedrooms have been re-invented into hotel-style mini-resorts complete with in-built parents’ retreats, glamorous walk-in wardrobes and top-of-the-line en suites. Tastes and expectations are constantly changing and luxurious master suites are becoming more sought-after, especially in high-end homes. 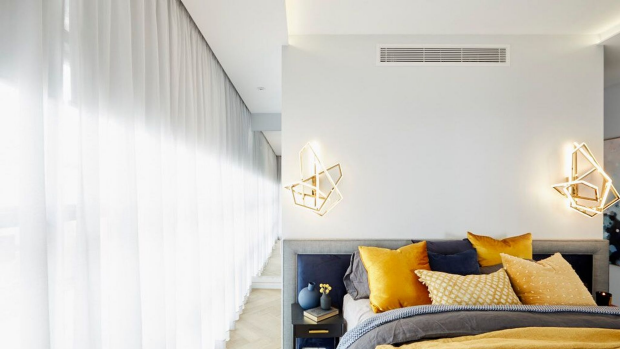 As houses and apartments become larger, an increasing number of home owners want to incorporate bigger wardrobes, retreat living areas and study spaces into the main bedroom space, according to interior designer David Hicks. “We have always liked to design bedrooms in this way, as the space becomes a beautiful room to use rather than just a room to sleep in,” he said. “This approach creates a luxurious hotel suite-style environment that many people are wanting. 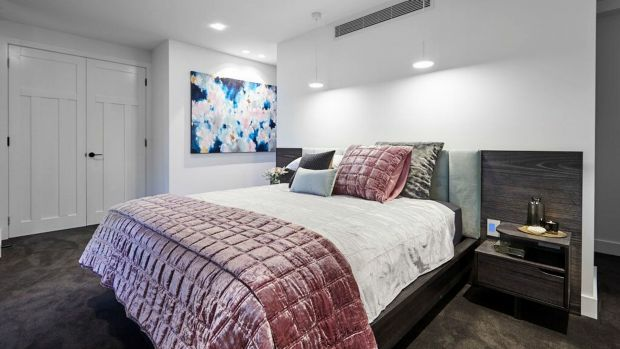 Reimagining master bedrooms as sanctuaries can increase the appeal of your property when selling, according to buyers’ agent and Property Mavens chief executive Miriam Sandkuhler. “In the price points over $2 million, there is an automatic expectation that master bedrooms will be of a minimum size and standard, with bells and whistles included,” she said. 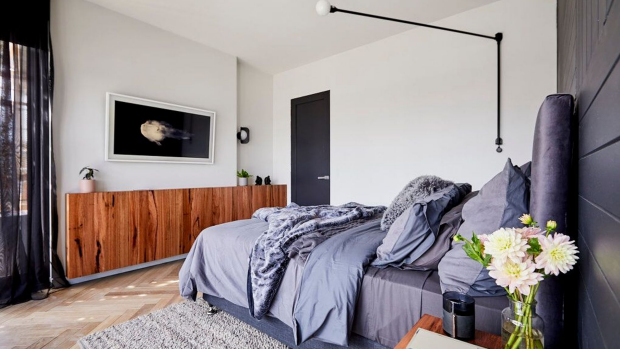 The evolution of the master bedroom into a luxurious space may be related to the trend towards mindfulness, according to architect Madeleine Blanchfield. With space at a premium in many houses, it can be hard to find the room required. If your property has not been built up to meet the maximum floor space ratio your council permits, you may be able to extend your home to incorporate your own private retreat. Otherwise, it may be time to review the current floor plan and decide if you need all of the current bedrooms, or if there are any spaces not being used effectively. The approach depends on whether it’s a new build or a renovation, or a house or apartment, according to Hicks. “With a new build house, the extra space that is allocated to the master bedroom is taken into consideration in the initial design phase of the building,” he said. Unused smaller bedrooms can be attached to master suites to increase their size, according to Blanchfield. “In one renovation a ‘man cave’ and ‘his robe’ were attached to the main bedroom,” she said. When planning your sanctuary, consider how you will use the space. Are you the type to luxuriate in a freestanding bath with a glass of champagne? Will you enjoy morning coffee and the Sunday paper on the private deck, or will you catch up on your latest Netflix binge in bed? Or are you the type to get up and get going, just to crash at night? It’s important to think this through so the plumbing and electricity are installed precisely where they are required. Luxury en suites are desirable, and it’s all about size and scale, creating a visually appealing, inviting, indulgent space. Top-of-the-line fixtures and finishes are where the big bucks are usually spent. Walk-in wardrobes, a bespoke make-up zone, and a living space to chill out in, are further enhancements with which you can spoil yourself. Take a look inside The Block Apartments.